In December 2017, Nest launched the Standards for Homes and Small Workshops, giving brands unprecedented visibility to the artisans in their supply chains. 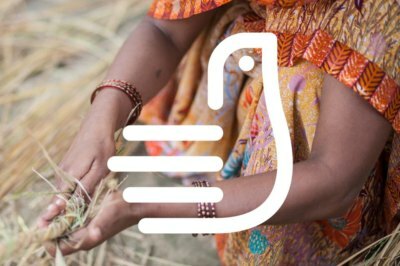 With the introduction of the Nest Seal of Ethical Handcraft, we sought to allow consumers greater transparency to how their products are made. Together, these tools are creating a means for increasing visibility to the home-based workers not included in factory audits and certifications, unlocking the potential for homeworking to be a visible and vital economic force in today’s global marketplace. Since launching the Standards, five artisan businesses from four different countries have been the first to complete their Nest training, assessment, and growth program, earning them a Nest Certification and ability to utilize the Nest Seal. Now, as heralded by Forbes and Architectural Digest, we are proud to announce that the Seal has officially debuted in retailers across the country, appearing on select handloomed rugs at West Elm. 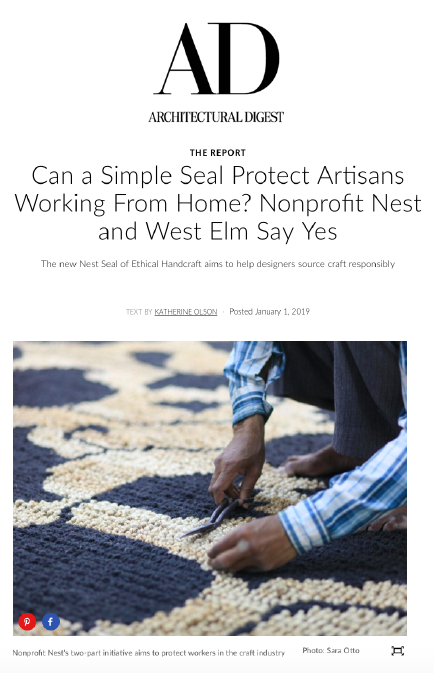 The Seal should empower shoppers to feel confident that their handmade items, or the handmade portions of them, have been ethically handcrafted.